Your home fails to cool down, there’s very little air coming from the vents or your air conditioner doesn’t seem to be turning on at all. 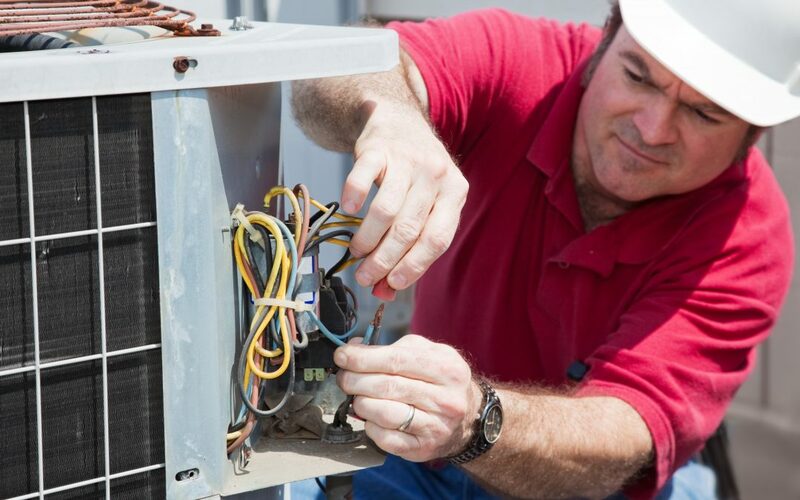 If your HVAC unit has issues, do not feel like you need to instantly prepare yourself for the cost of a replacement. There are a few trivial AC unit problems that are fixable. Here are the most common HVAC Issues and ways to fix them. If your AC is working but not doing its job of cooling down the house, you may want to check the unit’s drainage system. If there is a blockage on the drains, the system’s general functionality will suffer. You will have to seek the services of a professional to carry out a furnace cleaning and unblock the drain lines. The sooner you have this fixed, the better because a blocked drain can force water back up, causing major water destruction to your home. If all else seems to be fine yet your home is still hot, check your air conditioner’s refrigerant levels. If refrigerant is leaking or low, your unit will perform less competently. Apart from the AC blowing warm air, you will know your unit’s refrigerant levels are low if there is condensation water on the ground around the furnace. Unluckily, this isn’t a problem you can fix on your own. A professional has to do a furnace repair, test refrigerant levels, repair any leaks and recharge the system. A different reason why your AC may not be cooling is a dirty filter. If the filter is blocked, air cannot flow effortlessly through it. This makes your unit less effective and your home less cool. A furnace may not produce enough heat if it’s the wrong size for your space. However since most problems are caused by dirt, a furnace cleaning will ensure that your HVAC system stays in top condition. Get a new filter to replace the current one. Not only will your air conditioner work properly again, but the new filter will cut down on the dust and allergens that were caught in the dirty filter to ensure that the unit functions properly again. If your air conditioning unit is blowing air but not much is coming out, the problem could be with the pipes. If your unit’s ductwork has a leakage or a clog up, all the air will be directed at the clog or out through the leak rather than into your home. You will need the help of an expert to fix this issue. Mostly, they will conduct an air vent cleaning and sealing. You have checked the drains and filters but the air conditioning still isn’t blowing cold air. If your AC is a wall unit, take a look at the sensor to ensure that it’s still in place and that attachment of the wires is proper. If the positioning of the sensors is wrong, reposition them and reattach the wires in case they are detached. Contact a professional for furnace repair if this fails. There are a few trivial AC unit problems that are fixable. Here are the most common ones and ways to fix them.